In the research project LeMoLeDi the motivation to learn with the help of learning diaries should be investigated and increased. In particular, the effect of learning diaries on motivation for learning and learning success should be examined with the help of a combined longitudinal and intervention group study in school context. It aims to identify effective self-regulated learning processes that can make school education more effective. In particular, it is expected that self-reflection can have a specific effect. Students should directly improve their self-regulation strategies and learning motivation throughout the study. Students should directly improve their self-regulation strategies and learning motivation with the means provided by the study. Most scientific studies on learning diaries focus on planning and structuring learning processes. The learning diaries are often based on metacognitive dominated aspects of self-regulated learning (see, for example, Corno, 2001). Therefore, it is not surprising that learning diaries relate precisely to these planning and regulation processes (see Dignath-van Ewijk, Fabriz, & Büttner, 2015). In this study metacognitive should be complemented by motivational processes. For this purpose, the Integrated Learning and Action Model (IMLA) by Martens (2012) is used as a theoretical basis. The motivation phase refers to the development of a learning motivation, i.e. the need arises to reduce a perceived learning deficit or to tackle a learning challenge. In the intention phase, an intention for learning intention is formed which can fulfil the learning motivation. In the volition phase, finally, a learning intention is translated into a real learning action. In addition, there are feedback processes for all three phases.In der Motivierungsphase wird eine Lernmotivation ausgebildet, d.h. es entsteht ein Bedürfnis, eine lernbezogene Soll-Ist-Diskrepanz zu reduzieren. The planned study will mainly focus on the processes of IMLA, which involve self-regulation in the narrower sense of the term (2000, 2001), namely the processes aimed at activating the so-called extension memory. These include assuming responsibility, competence expectations and goal congruent monitoring, as well as the feedback processes that relate to them (Martens, 2012). It can be assumed that these self-referential processes provide the basis for the further development of an intrinsic motivation (Deci & Ryan, 1993) and also for the development of a long-term ndividual interest. Conversely, a lack of intrinsic motivation may lead to the similar learning outcomes in terms grades, but is often associated with a high stress experience and could lead to fatigue and / or loss of interest in the long run. It can also be assumed that a lack of intrinsic motivation leads to superficial learning processes, in which specific knowledge is less interconnected, less accessible and, in particular, can not be transferred to other contexts (inert knowledge according to Renkl, 1996). For repeatedly activating the extension memory during the learning processes it is necessary that reflexive processes can be initiated leading to self-pacification accompanied by an attenuation of negative affects. Therefore, the actual learning situation has to provide a nurturing class climate resulting in mutual respect and trust between teachers and learners. A combined longitudinal and intervention study is planned. Especially, different learning methods will be introduced, like he “Mindmap” method for the visualization of personal subject matter (see Mento, Martinelli, & Jones, 1999). This intervention group should then complete the learning diary in the actual learning phase at the beginning and at the end of the week. In particular, it should be reflected whether the learning methods and learning strategies used are effective (feedback on the outcome expectation) and whether the learning methods and strategies really fit the learners (feedback on the competence expectation in the sense of the IMLA). These feedback processes should relate to specific learning content that has been previously coordinated with the teachers. The aim is to draw a sufficiently large sample of 7th and 8th grade students, which will allow a differential impact analysis with mixed distribution models. The participating teachers should systematically integrate offers for learning methods in the subject-specific lessons. The evaluation of the data is done anonymously. This is achieved in particular by the fact that only age and gender are recorded in the questionnaire. The contents of the learning diaries and the questionnaires will be connected using an assignment key. The learning journals remain in the school and are provided to the scientists only for rating purposes. The data analysis of the questionnaires is mainly done with the mixed-Rasch model (Rost, 1990), the latent class analysis (Langeheine & Rost, 1993) and the latent profile analysis (Muthén & Muthén, 2004). The transition probabilities of motivation types to verify the effectiveness of the intervention are to be tested with Latent Markov Models (Langeheine & Van den Pol, 2002). These results are triangulated with the teacher’s judgment, the intrinsic motivation, and the actual use of the learning diaries. In the planned research project, the rules of good scientific practice of the German Research Foundation (DFG) and the Federal Ministry of Education and Research (BMBF) are explicitly recognized and strictly adhered to. The results of the study will be available to the school. Personal data remains with the teachers involved. Further research approaches by Thomas Martens can be found here. Corno, L. (2001). Volitional aspects of self-regulated learning. In B. J. Zimmerman & D. H. Schunk (Eds. ), Self-regulated learning and academic achievement: Theoretical perspectives (Vol. 2, pp. 191-225). Mahwah, NJ: Lawrence Erlbaum Associates. Deci, E., & Ryan, R. (1993). 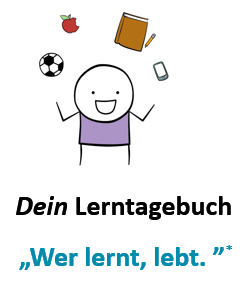 Die Selbstbestimmungstheorie der Motivation und ihre Bedeutung für die Pädagogik. Zeitschrift für Pädagogik, 39, 223-238. Dignath-van Ewijk, C., Fabriz, S., & Büttner, G. (2015). Fostering self-regulated learning among students by means of an electronic learning diary: A training experiment. Journal of Cognitive Education and Psychology, 14(1), 77-97. Kuhl, J. (2000). A Functional-Design Approach to Motivation and Self-Regulation: The Dynamics of Personality Systems and Interactions. In M. Boekaerts, P. R. Pintrich, & M. Zeidner (Eds. ), Handbook of Self-Regulation (pp. 111-169). San Diego, San Francisco, New York, Boston, London, Sydney, Tokyo: Academic Press. Kuhl, J. (2001). Motivation und Persönlichkeit – Interaktionen psychischer Systeme. Göttingen, Bern, Toronto, Seattle: Hogrefe. Langeheine, R., & Rost, J. (1993). Latent Class Analyse Latent class analysis. Psychologische Beitraege, 35(2-3), 177-198. Langeheine, R., & Van den Pol, F. (2002). Latent Markov chains. In J. A. Hagenaars & A. L. McCutcheon (Eds. ), Applied latent class analysis (pp. 304-341). Cambridge: Cambridge University Press. Martens, T. (2012). Was ist aus dem Integrierten Handlungsmodell geworden? In W. Kempf & R. Langeheine (Eds. ), Item-Response-Modelle in der sozialwissenschaftlichen Forschung (pp. 210-229). Berlin: Verlag Irena Regener. Mento, A. J., Martinelli, P., & Jones, R. M. (1999). Mind mapping in executive education: applications and outcomes. Journal of Management Development, 18(4), 390-416. Muthén, L., & Muthén, B. (2004). Mplus user’s guide. Los Angeles: Muthén & Muthén. Renkl, A. (1996 ). Träges Wissen: Wenn Erlerntes nicht genutzt wird. Psychologische Rundschau, 47(2), 78-92. Rost, J. (1990). Rasch Models in Latent Classes: an Integration of two Appoaches to Item Analysis. Applied Psychological Measurement, 14(3), 271-282.